Visit my PORTFOLIO FOTOLIA! Browse over 3800 amazing images! 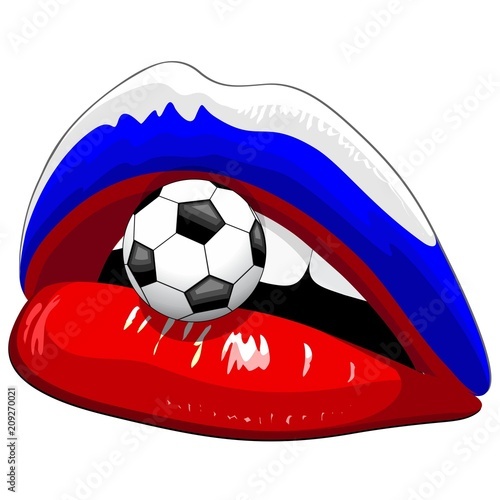 This entry was posted in Illustrations / Designs Copyright © BluedarkArt and tagged bluedarkArt, bluedarkart designer, cool design, copyright, copyright bluedarkart, design trends, football russia, football wordcup, football world championship, intellectual property bluedarkart, licenses for sale, lips, moscow, russia 2018, russia flag, Russia Flag Lipstick Soccer Supporters, russian girl, russian lipstick, sensual lips, soccer ball, soccer fans, soccer russia, soccer supporters, soccer world championship, soccer world cup, the chameleonart, vector graphic art, vector graphics, vector illustration, woman lips. Bookmark the permalink.